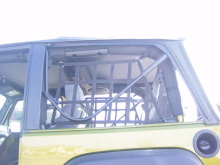 New 6 point side window pair for 2007 and newer JK Wrangler to keep the gear and dog in and deters items from leaving the back. 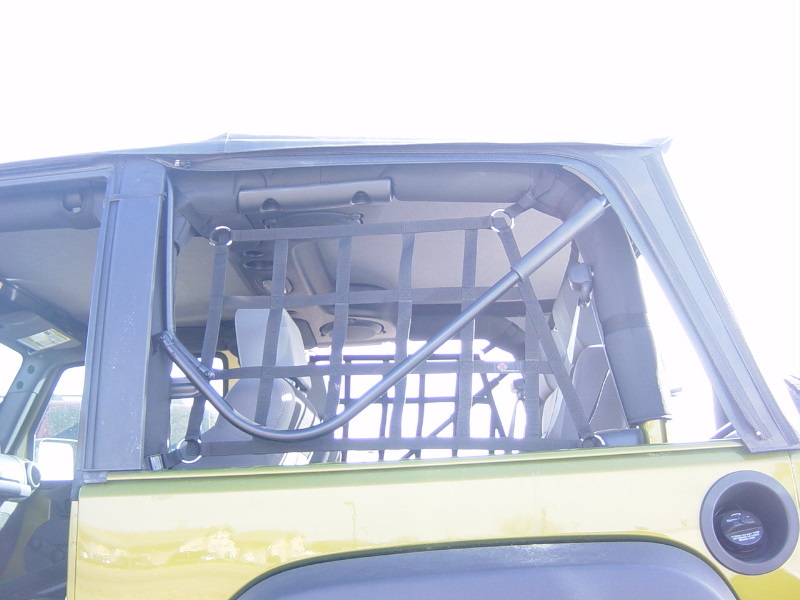 Can be installed and works with or without OEM, aftermarket tops and bikini shade covers. 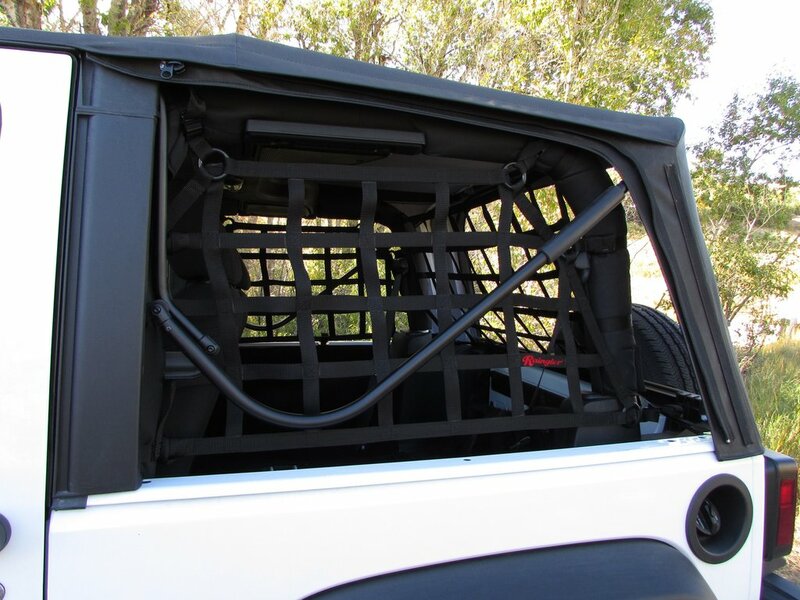 Shown in some images with rear Raingler window net, sold separately and optional side mount strap assembly for a 7th mount point on lower center side useful for smaller escape artists or just extra security.